Welcome to Copyrightlaws.com’s Centre for Canadian Copyright Law. Here you can access reliable, objective and current information about Canadian copyright law. 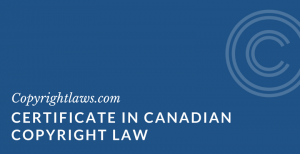 Certificate in Canadian Copyright Law 2019 cohort now open. Register now! 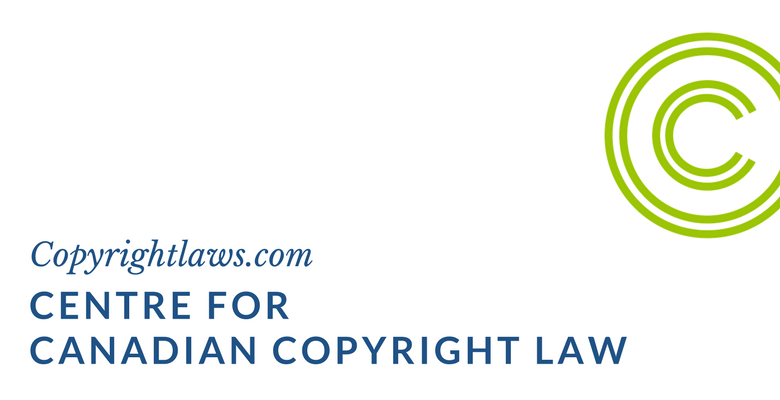 Canadian Copyright Law eTutorial Next offering: 1 – 23 May 2019. Register now! In addition, our course on developing copyright literacy through education offers resources for a global audience. Its theme is 21 Simple Ideas To Promote Copyright Literacy in Your Library or Organization. 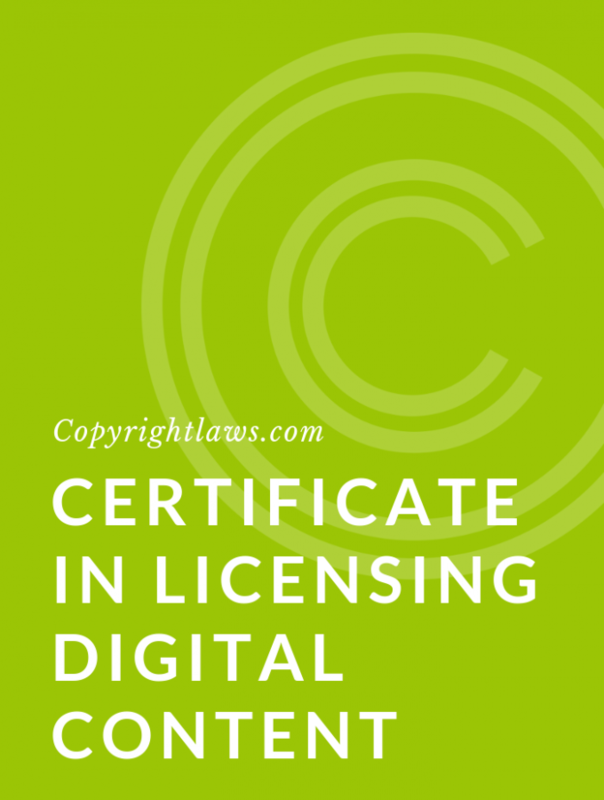 Developing a Copyright Education Strategy Next offering 22 April – 3 May 2019. Register now! Our posts on Canadian copyright law provide a basic understanding of a variety of topics. Below are 10 articles you may find useful. Is there a topic you’d like to see addressed? Let us know and we may add it to the site. Test your copyright knowledge with our Canadian Copyright Law Quiz. We are constantly adding to and updating the content on our site. We offer over 100 informative and practical copyright articles written in plain English. And, we’re adding more free downloadabletip sheets for you to use as quick reference guides. Copyrightlaws.com’s Certificate in Canadian Copyright Law is a 12-week program with that provides a strong foundation in copyright decision making skills. It’s intended for those new to copyright or those seeking to enhance their current knowledge base. The program equips you with knowledge of copyright principles, with the primary focus on practical skills that can be adapted to individual needs. The fee is $1,348 to $1,497 (in Canadian currency). The 2019 cohort is now open. Register now and we’ll get you started right away! Register now! I recommend this course if you’re looking for Canadian Copyright Law in a nutshell. The topics were well organized and I loved the self-marking quizzes. I can now help our IP legal counsel with copyright-related research. The e-mail format of the lessons worked for me as I could do them as I was able within a busy schedule. I loved the Certificate program, it exceeded my expectations. 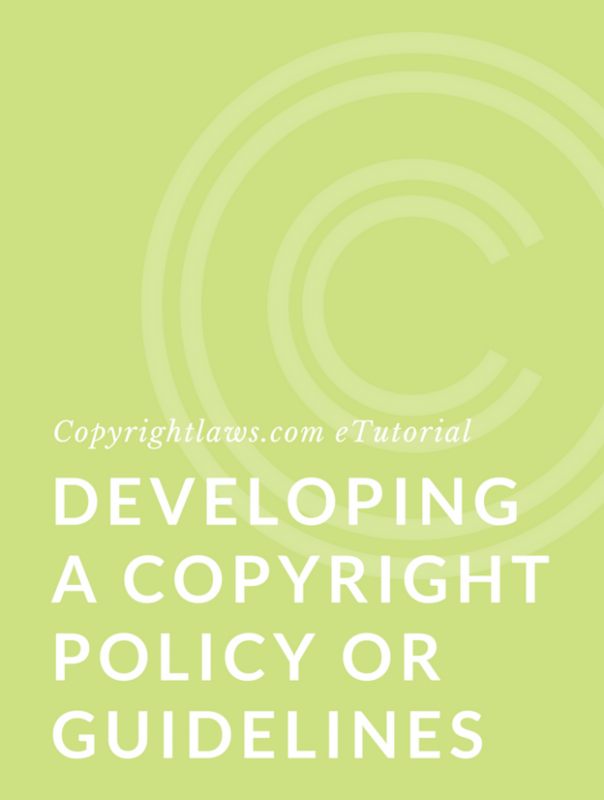 Each tutorial delivered copyright information in an easy-to-understand format and I was pleasantly surprised at the amount of information that we received. After the program, my priority is to revise the copyright portion of our contracts. I will also make a copyright adherence policy for staff and begin staff copyright education. The program has been a very valuable experience for me and has made me feel more secure in managing copyright at work. I definitely recommend the Certificate program to others. The Certificate program has done wonders for me in terms of fuelling my confidence in my ability to do the job. I will be pushing for a more centralized approach to copyright administration — most immediately the completion of a long-promised database for managing copyright permissions. See more testimonials from our Certificate in Canadian Copyright Law graduates. Copyrightlaws.com also offers the Canadian Copyright Law eTutorial. This eTutorial is a 16-lesson online primer/refresher on Canadian copyright law. It’s available on demand for groups. Register now for our 1 – 23 May offering. Our eTutorial Developing A Copyright Education Strategy demystifies how to increase the level of copyright literacy in your enterprise through awareness, education and training with the goal of lowering your copyright risks. It includes an entire lesson devoted to 21 ideas for promoting copyright literacy in your library or organization. Register now for our 22 April – 3 May offering. In late September 2017, Copibec announced its copyright challenge in Canada against Université Laval. A favourable decision for Copibec was rendered on 27 November 2017. Copibec and Université Laval are pleased to announce that their out-of-court settlement agreement was approved by Justice Simon Hébert of the Quebec Superior Courtand that Université Laval has signed the comprehensive licence agreement applicable to Quebec universities. On 31 July 2017, York University announced it would appeal the recent federal court fair dealing decision against them initiated by Access Copyright. York filed its Notice of Appeal on 22 September 2017. A summary of the court decision is here. Update: Hearings in the appeal of the Federal Court’s decision took place on 5 – 6 March 2019. On 30 September 2018, Canada, Mexico and the United States announced the completion of negotiations towards a new trade agreement to replace the North American Free Trade Agreement (NAFTA). The United States-Mexico-Canada Agreement (USMCA) includes a chapter on intellectual property. Among other things, it requires member countries to protect copyright for a minimum of 70 years after an author’s death. Currently, the copyright duration in Canada is 50 years after an author’s death. For information on the USMCA, and the procedure for implementing a new trade agreement, see the Canadian government website. On 18 October 2018, the Standing Committee on Industry, Science and Technology announced its completion of Phase I of its statutory review of the Copyright Act. Phase II of the review is underway and Phase III will begin in late November. Read the press release here. To date, the Committee has heard and is continuing to hear testimony from a broad spectrum of witnesses representing publishing, visual arts, software and telecommunications in multiple sectors of activity, such as Indigenous communities and various interest groups, as well as legal experts (lawyers and academics) and professional associations. And many more, including Canadian rock star Bryan Adams, who urged the Committee to change the Copyright Act to allow artists who assign their rights to a company to regain those rights 25 years after the date of sale. You can see the transcript of Mr. Adams’ presentation here. The Committee aims to complete the above hearings by early 2019. It invites Canadians to submit written briefs not exceeding 2,000 words. You may send briefs to: indu@parl.gc.ca. Information on how to prepare a submission is in the Guide for Submitting Briefs to House of Commons Committees. Note that this is a review and not necessarily proposed revisions; it’s uncertain at this time where the review will lead. To support the review of the Act, the Committee invited the Standing Committee on Canadian Heritage to conduct a study on remuneration models for artists and creative industries. On 13 December 2017, the Honorable Navdeep Bains, Minister of Innovation, Science and Economic Development, with the Honorable Mélanie Joly, Minister of Canadian Heritage, launched the statutory review of the Canadian Copyright Act. The review will be conducted by the Standing Committee on Industry, Science and Technology. The 2012 Copyright Modernization Act (CMA) mandated the review of the Copyright Act “to ensure it remains responsive to a changing environment.” The CMA, among other things, introduced expanded purposes for fair dealing and a notice and notice system for infringing materials on websites. See details on the 2012 Copyright Act amendments below. In August 2017, the government launched its consultation on reforming the Copyright Board of Canada. In the Creative Canada report mentioned below, the government mentions that it is seeking public input and advice on proposals to reduce the Board’s workload and to clarify its mandate and processes in order to make its workload more efficient. The report claims that reforms will be presented in 2018. A Parliamentary review of the Copyright Act is mandated to start in 2017. The Government will set the review in motion, and Parliamentarians will lead on its scope and process. The time is right to take another good look at copyright, to make sure that the regime is meeting its many policy objectives. It is critical that Canada’s creators are equipped to take full advantage of the opportunities presented by the digital environment. Canadians value creative content, and enjoy, share and interact with it every day. Many creators indicate, however, that they are struggling to receive payments for the use of their work, even when there is an increasing demand for their content, especially online. New technologies and new players have disrupted traditional business models — they offer powerful prospects for new business models and revenue streams. Copyright has an important role to play, as one tool that can position creators for success in a competitive, global marketplace. Our copyright framework remains a vital part of our creative economy, and will continue to do so in the future. A well-functioning copyright regime should empower creators to leverage the value of their creative work, while users continue to enjoy access to a wide range of diverse cultural content. According to a recent Alberta Court of Appeal decision, seismic data is protectable under copyright law (Geophysical Service Incorporated v EnCana Corporation, 2017 ABCA 125). A discussion of this case is here. The Ontario Court of Appeal on 28 September 2017, Keatley Surveying Ltd. v Teranet Inc., has been granted leave to appeal the decision to the Supreme Court of Canada. The case deals with section 12 of the Canadian Copyright Act, which addresses the term of copyright for works prepared or published by or under the direction or control of the government. The last time we were consumed with a variety of copyright news was in the summer of 2012. That was an important time for Canadian copyright law. On 29 June 2012, the Copyright Modernization Act received Royal Assent, and after 15 years and many failed attempts significant legislative changes were made to the Canadian Copyright Act. These amendments made Canada eligible to join the two digital copyright treaties, the WIPO Copyright Treaty and the WIPO Performance and Phonograms Treaty, bringing Canada’s copyright laws in alignment with many of its trading partners. These internet treaties are under the auspices of the World Intellectual Property Organization (WIPO). On 12 July 2012, the Supreme Court of Canada issued five decisions relating to Copyright Board tariffs governing photocopying of textbooks, music downloading and streaming, and other uses of copyright-protected content. Learn more about Canadian copyright law and these recent developments in our unique online copyright law courses: Canadian Copyright Law eTutorial and the Certificate in Canadian Copyright Law.